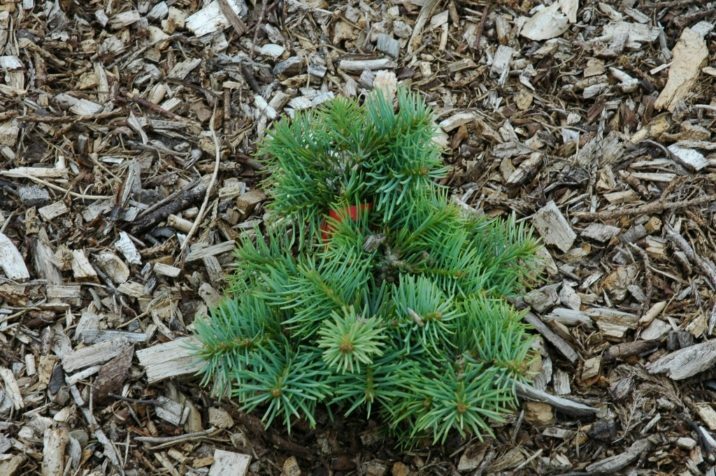 Abies concolor 'Minima' is a diminutive miniature selection of White fir with soft Blue-green needles and a irregular congested bun-like branching structure. Typical rate of growth in most areas is 1.5 to 2 inches (3 - 5 cm) per year. After 10 years a mature plant can be expected to be 12 to 18 inches (30 - 45 cm) tall and wide. The origin of this cultivar is unknown, but believed to have originated in Europe. For this to be a legitimate cultivar name, it will have to have been named prior to 1959. Abies concolor 'Minima' — a young plant in a private garden in Dorset, United Kingdom.